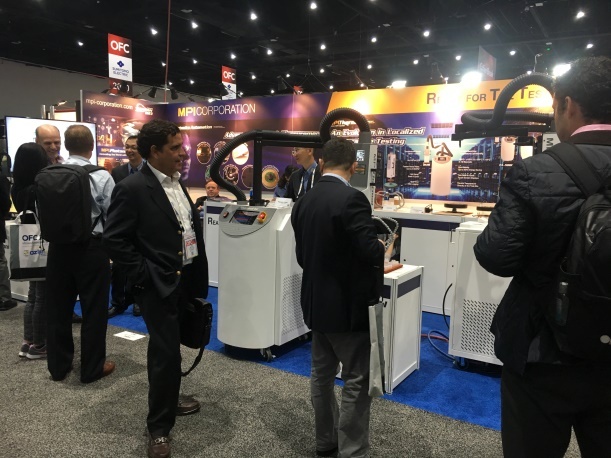 OFC 2019 is the largest photonics and optical communication exhibition in the world held annually in the Western United States. Around 700 exhibitors and 15,500 visitors from 75 countries participated in the greatest event in 2019. Various applications continue their technology improvement, bringing unlimited business opportunities for the VCSEL and Photodetector industries. 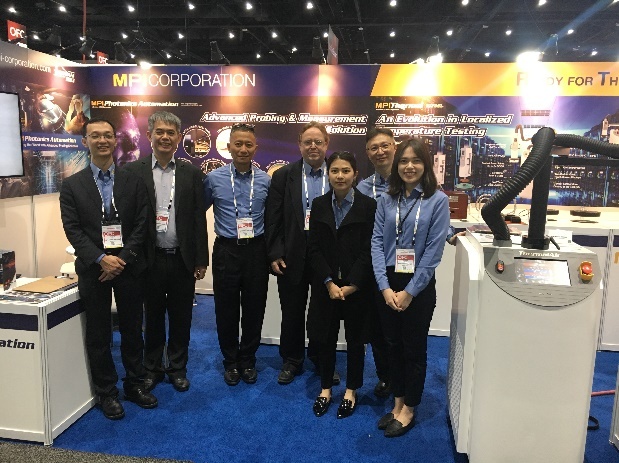 At OFC 2019, as a global leading testing and measurement equipment manufacturer, MPI demonstrated its advanced test solution on both wafer level and packaging level. The company specifically focuses on the Photodetector (PD) and Near/Far Field testing solution in response to the growing 3D sensing and optical communication fields. Photodetector product trend moves towards large-area with low dark current, which has short response time and is able to receive LED energy completely. MPI provides ultra-low noise dark current (DC) testing, responsivity measurement, and capacitance measurement, together with a high precision testing platform to ensure highest measurement accuracy and efficiency possible. VCSEL applications include 3D sensing, in-vehicle automotive sensing (facial and gesture) and automotive LiDAR, drone, AGV, proximity sensor, optical communication, and more. MPI offers various measurement testing capabilities including the L-I-V sweep test, near-far field measurement, and spectrum measurement that are very important for 3D sensing market applications. This time MPI simultaneously launched a variety of ThermalAir stream forcing systems for testing fiber optic 100G and 400G Transceivers at temperatures ranging from -80°C, -40°C, -20°C, -10°C and 0°C cold and +70°C, +80°C, +90°C. MPI Thermal division displayed the newest addition to the MPI ThermalAir family. Besides showing the TA-5000A (-80°C to +225°C) ThermalAir temperature system, MPI Thermal also showcased the latest and compact TA-3000A (-60°C to +225°C) for the fiber optic 100/400G transceiver components temperature test market.